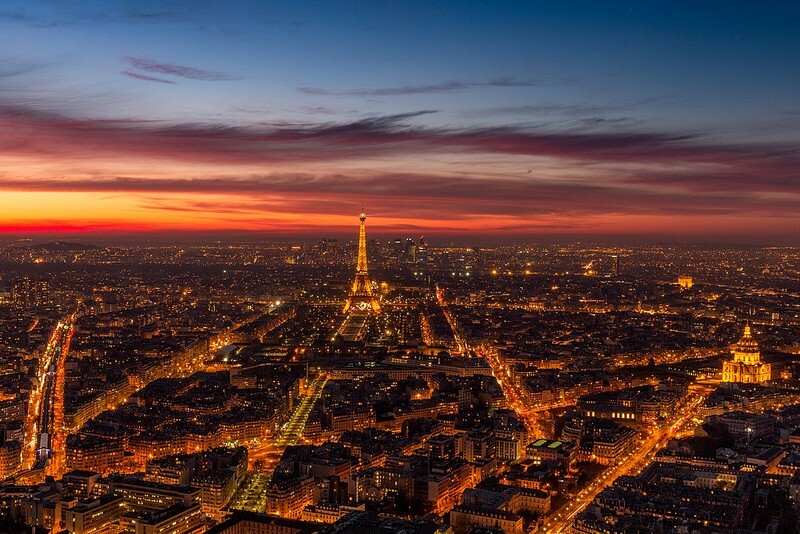 Creative Commons photo of Paris at sunset by Ilirjan Rrumbullaku via Flickr. In the wake of the horrific terrorist attacks in Paris, there’s been a wave of backlash from people wondering why there’s been an outpouring of grief among Americans for France, but not so much for Lebanon. After all, Beirut was hit with a devastating terrorist attack — also carried out, apparently, by ISIS — just one day earlier. Many are taking to Twitter, Facebook, and other social media outlets to shame people and the media over caring more about France than Lebanon. But there’s a simple explanation. It’s called emotional proximity. Timeliness — When an event just happened, obviously. Prominence — Anything involving someone or something famous or important. Impact — Something having an effect on a lot of people, or even a drastic effect on a few. Conflict — When people, institutions, or governments collide, ranging from a squabble to a clash to a war. Currency — When many people are talking about an event or issue. Novelty — The unusual, the uncommon, the unexpected. Proximity — Geographical or emotional closeness, or both. The Lebanon bombings, of course, fulfill most of these news values. And despite some claims to the contrary, the news media did cover the Beirut attacks. Did you click on those links? Did you share those stories? Were you shocked and shaken? Probably not. Most Americans have some sort of connection to Paris and to France. If you’re American, chances are strong that you eat croissants or French fries (yes, I know they’re actually Belgian, but still), and drink Burgundy or Bordeaux or Champagne. Maybe you took French in high school, and maybe you did your hair in a French braid and your nails in a French manicure, and you surely learned in history about how a 19-year-old Frenchman called the Marquis de Lafayette helped the Americans defeat the British in the Revolutionary War. If you’ve traveled to Europe, chances are very good that you’ve been to Paris, given that it’s among the world’s top tourism destinations. And if you haven’t, you’ve likely dreamed of going there someday to brave the elbowing crowds to glimpse the Mona Lisa at the Louvre and gaze up at the Eiffel Tower — one of the world’s most recognizable landmarks — with your own eyes. We associate Paris with beauty, romance, culture, and sophistication, thanks to soaring architecture and impossibly chic (and skinny) Parisian women and romantic movies and French kissing. In contrast, most Americans have relatively weak connections to Lebanon. About half a million Lebanese people live in the US, or less than 1% of the population (compared with nearly 12 million people in the US who identify as French or French Canadian). Lebanon doesn’t feature prominently in our minds, memories, or imaginations. Many think of Beirut as the site of the 1983 bombing of a Marine barracks by Hezbollah that killed 299 American and French servicemembers. The average American has probably never dined at a Lebanese restaurant or can even recognize Beirut in photographs, much less makes plans to go there on their next vacation. Lebanese culture hasn’t permeated American culture, or captured the American imagination, anywhere near to the level French culture has. So whether you spent a stint as an expat in Paris or know someone who went there this one time or had a cool black and white poster of the cobblestone Parisian streets on your wall in college or just eat French toast, if you’re an American, you probably have some sort of connection to France and to Paris. So when Paris is attacked, yes, you’re simply likely to care more about it than when something similar happens in a place you feel less connected to. I’m not saying that’s right or wrong or good or bad. I’m just saying that it’s a phenomenon — a very human phenomenon. That’s emotional proximity. UPDATE: Some have taken me to task for oversimplifying and for making excuses for people who don’t care about the lives lost in Lebanon as much as the lives lost in Paris. I’m grateful for that that feedback. To be clear, I’m not making excuses — I’m just explaining a phenomenon. I purposefully oversimplified to illustrate the visceral connection many or most Americans have to Paris and France. The entire reason I founded Kicker was to create a news source that engages people in news they found too boring, confusing, overwhelming, irrelevant, or depressing to pay attention to. At Kicker, we endeavor to make news accessible and digestible. It’s my mission in life to help people connect to news they don’t naturally connect with — to overcome emotional proximity. Who am I? I’m the founder and editor in chief of the independent news site Kicker. You can follow me on Twitter here, and Kicker on Twitter here, if that’s your thing. Talent lab editor, Quartz. Previous: YR Media, USA Today, Kicker, New York Times.